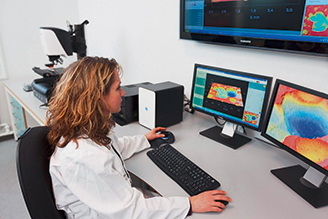 Mountains® 8, the next generation of surface and image analysis software will be on demonstration at the Control 2019 show to take place in Stuttgart, Germany May 7-10. Bringing tailored solutions for engineers, metrologists and scientists working with profilometers, scanning electron microscopes (SEM), scanning probe microscopes (SPM) and other instruments, this major new release promises to live up to and even surpass its predecessor Mountains® 7, the gold standard in industry and research for metrology and analysis. Let’s have a look at some of the changes and improvements made to the software and how to get the most out of them. Don’t forget to update! Users can now apply “Quick pre-processing operators” directly in the document without opening a dialog. Similarly “Quick extraction operators” (extract profile, area etc.) can also be implemented directly. Extracted profiles and areas can be visualized directly on data (for example in 3D view – see below). Analysis frames can be grouped, making it easy to apply attributes and even operators to several frames at the same time. Zoom and cursors can also be synchronized. 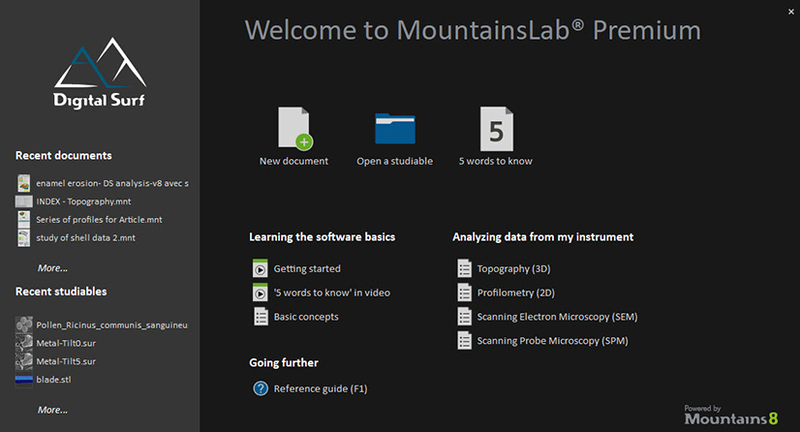 In Mountains®, the “document” refers to the pages on which you can generate and edit studies. A document can have several pages and now you can display several documents simultaneously, in tabs. This is useful for comparing documents as well as working with statistics and Minidocs. The Mountains® File Explorer just got a serious upgrade! Quicker than before, it becomes a dockable floating window that can be expanded to full screen. In the case of multi-layer files, you can see layers and choose which to open. Get started faster and return to the Home Screen to quickly access files, tutorials and templates based on your instrument technology. Mountains® 8 takes particle analysis to a whole new level. Combining all the best Mountains® and SPIPTM features, the new tool lets users easily detect features of any shape and size on virtually any surface. Choose which layer of data to use for feature detection then select from four detection methods. Access over 70 parameters (area, perimeter, diameter etc.) for quantification. Analyze all particles or click on any individual particle to see parameters instantly displayed! Above. New and largely improved tools for Particle Analysis. With the merging of the Mountains® and SPIP™ platforms (see Surface Newsletter, Fall 2018 edition), many new exclusive tools have become available. In particular “Correlation averaging” (for revealing details of the unit cell in patterns of self-assembled molecules), “Lateral calibration” and force spectroscopy tools will be of great benefit to those working with data from scanning probe microscopy (SPM). Add hyperlinks and buttons in your document to perform actions: open URLs, jump to next page etc. You can even add a button to show/hide any comments/explanations you need to share with others. That way, they can hide comments in just a click and re-use the same document as a model! Choosing the right filtering options and parameters to apply to your data just got simpler! All parameters tables can now be set to display form removal and filtration settings already applied. Warnings (with explanations) are also shown when an error is detected (i.e. filters applied twice) or when parameters are not suitable for the data to which they are calculated. Keeping your Mountains® software up-to-date will ensure you have all the latest features and bug fixes as well as improving the overall security of your computer. If you are using Mountains® 7 or an earlier version or SPIP™, please contact sales@digitalsurf.com to talk about an update. With the release of version 8, the MountainsMap® product range refocuses on tools for analyzing data from 2D and 3D profilometers. * The software interface as well as many existing features have received a significant overhaul. More than ever before, this highly-specialized yet easy-to-use software is an indispensable asset for engineers, researchers and metrologists in a wide variety of sectors. Digital Surf has 30 years experience developing surface imaging & metrology software for the global industrial and scientific communities. The company is an active member of the ISO working groups who establish surface texture standards. The majority of national metrology institutes (NIST in the USA, NPL in the UK, PTB in Germany, LNE in France and many others) trust the expertise and precision of Mountains®. Thanks to a wealth of guides and other resources made available by Digital Surf, we aim to help users adopt relevant correction and calibration routines in order to get meaningful results from their data analysis. MountainsMap® includes processing tools for overcoming instrument restrictions (outliers, non-measured points and range limitations) thus guaranteeing you get the most out of your measured data. 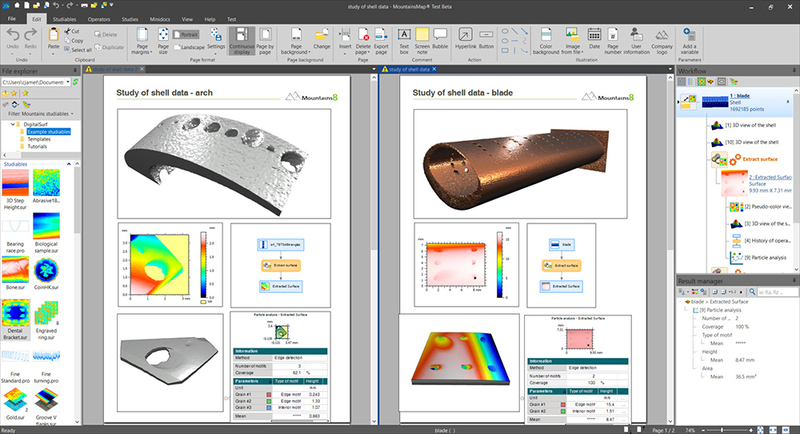 Go beyond the basics of surface texture analysis and unleash the full potential of your data. With easy-to-use, interactive tools, carry out pore and particle analysis on structured surfaces, Fourier & wavelets analysis to study surface-process interactions or advanced contour analysis with comprehensive geometrical dimensioning and tolerancing tools. MountainsMap® also gives users access to industry-specific analysis methods, for example 2D parameters for automotive manufacturing. Thanks to the MountainsMap® workflow, more powerful than ever in version 8, keeping track of analysis steps already applied to data has never been easier. Users can instantly revert back to any step in the process, edit or delete it. As a result, all dependent steps are automatically recalculated. The majority of leading instrument manufacturers integrate MountainsMap® with their instruments (look for the “Powered by Mountains®” label). Today, 15,000+ Mountains® software licenses are installed worldwide. As you carry out analysis on your data using MountainsMap®, the different processes are organized in document layout. This makes it easy to save your work in PDF and Word formats and thus share it with colleagues, students, clients etc. What’s more, all parameters and results can be exported to Excel at the touch of a button. 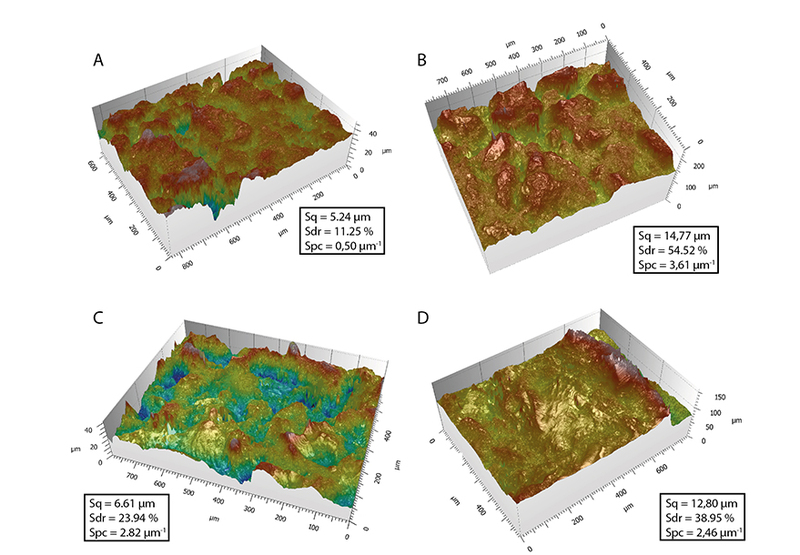 Using the MountainsMap® colocalization feature, data from 3D optical profilers, AFM, SEM, fluorescence, Raman, IR or other microscopes, can be managed with the same software and overlaid, thus facilitating the correlative study of features. We believe it is our job to help our customers get the most out of MountainsMap®. 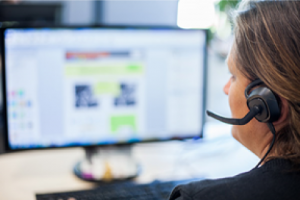 Our technical support team answers your questions and offers professional advice on client applications. To make life easier for our users, the MountainsMap® user interface is available in 11 languages, a printed reference guide is available and training and seminars can be organized on request. Working with large quantities of data? No worries. MountainsMap® can easily process it! And no need to create complicated scripts. In just a few clicks, save any analysis sequence as a template and reapply to large batches. New features in version 8 speed things up even more by allowing you to apply operators (tools) directly as you work in the document or in the workflow. *Similarly the MountainsSEM® product range serves the needs of Scanning Electron Microscope users and the MountainsSPIP® range those working with Scanning Probe Microscopy. MountainsLab® provides multi-instrument compatibility. The new MountainsSPIP® 8 is on the horizon. The Digital Surf team are thrilled to be demonstrating the new software at the DPG Spring Meeting at the University of Regensburg, April 2-4, 2019. If you aren’t attending, check out the video below to see what’s inside this powerful new toolbox for SPM data analysis. Merry Christmas and Happy 2019! Thanks to all our partners, customers and users for another amazing year in surface analysis. We’re getting excited about 2019 which will see the release of Mountains® 8, the next generation of surface and image analysis software for profilers and microscopes. May this New Year bring you and your loved ones much joy and success! 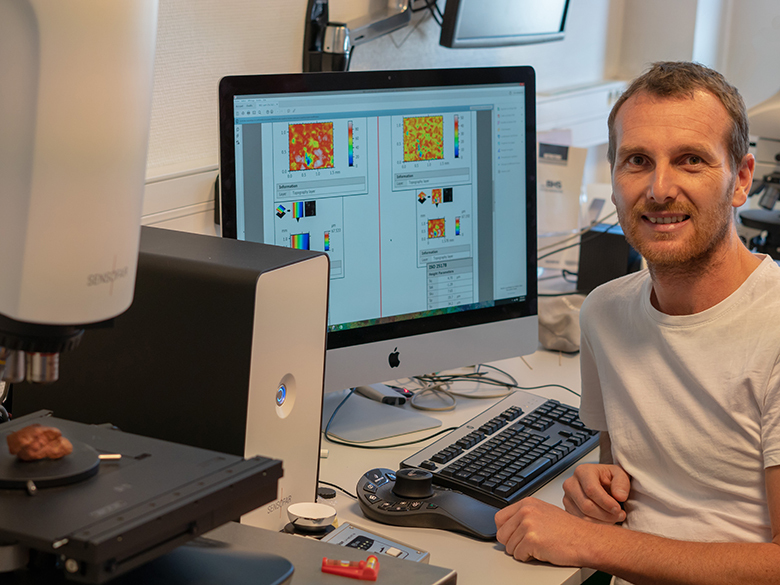 Besançon, France & Hørsholm, Denmark: Since SPM specialists Image Metrology and Digital Surf joined forces in 2014, development teams from both companies have been working hard to create the next generation of SPM image analysis software. The new product line, named MountainsSPIP® 8 will be unveiled at the MRS Fall Exhibit in Boston on November 27-29, 2018 and made available to users in Q2 2019. Based on the industry-standard Mountains® platform, it will also include all the best SPIPTM interactivity and analytical tools. 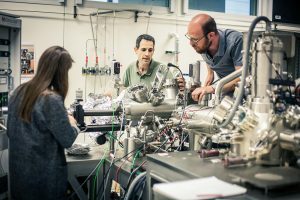 These tools will be of great benefit to researchers and industrials worldwide working in a wide range of areas, notably in materials and life sciences. Both Mountains® and SPIPTM are already used extensively by the worldwide scientific community (20,000 users in 2018). They are cited by hundreds of scientific publications each year. 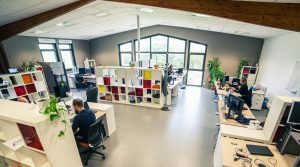 “It has been a tremendous challenge to marry advantages of both software programs into a single product, as the philosophy behind the two predecessors was really different, but we got there!” stated Christophe Mignot, Digital Surf CEO. “MountainsSPIP® 8 is as immediate as SPIPTM and as traceable and automatable as Mountains®“. MountainsSPIP® is part of the new Mountains® 8 range to be released by Digital Surf in 2019 and which will also cover profilometry and electron microscopy users’ analysis needs. 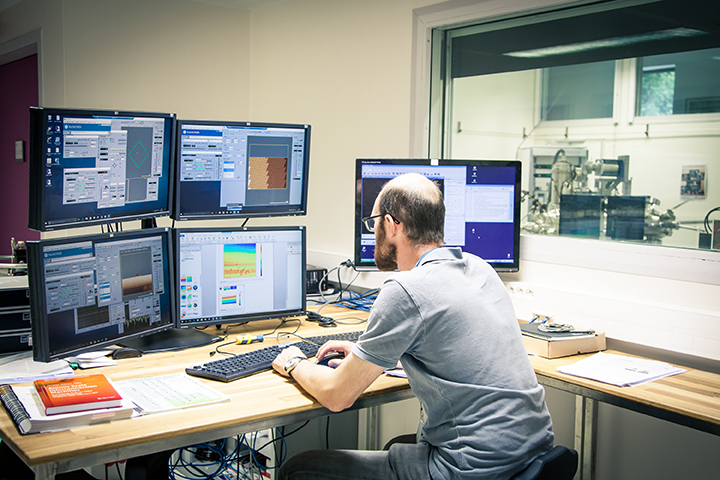 Not only will Mountains® 8 be the most advanced software package for each type of data analysis, but laboratories working with several different types of instrument (profilometer, electron microscope, atomic force microscope, spectrometer etc.) will be able to benefit from a unique synergy between all their instruments. Digital Surf and Image Metrology joined forces in July 2014. 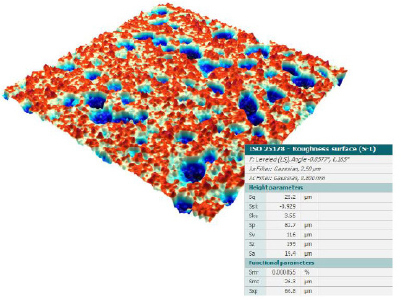 Image Metrology has been supplying SPIP™ data analysis software for scanning probe microscopy to scientists in academia and industry for the last two decades. 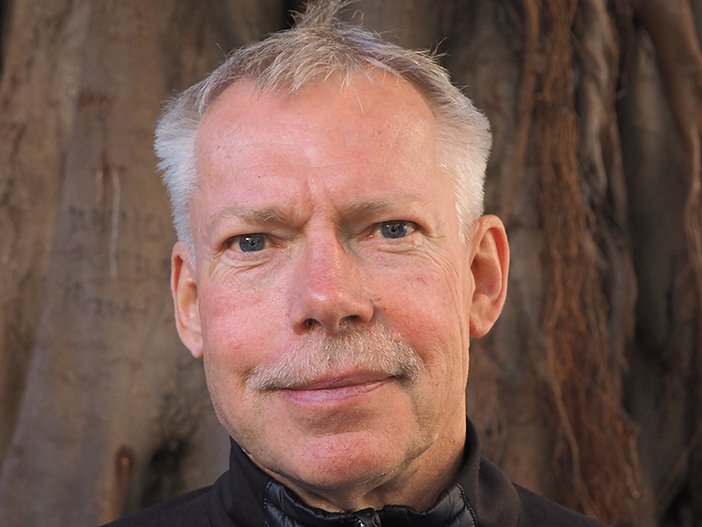 The company founder and CEO, Jan F. Jørgensen, tells us more. Can you introduce yourself & Image Metrology to our readers? After a degree in biomedical engineering, I worked as a software engineer for hi-tech analytical companies. I completed a PhD in cooperation with IBM and the Danish National Metrology Institute (DFM), where I worked on fundamental metrology, standards and technology. I founded Image Metrology in 1998 with SPIP™ as its primary product. 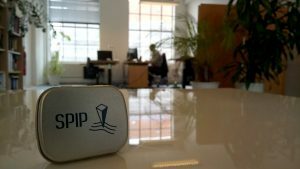 The development of SPIP™ started as part of my PhD project. Our focus has always been on providing intelligent image processing techniques that facilitate the measurement and analysis of SPM images in a way that is as accurate as possible whilst being user-friendly. With the merge of SPIP™ & Mountains® what are the benefits for SPIP™ users? SPIP™ users are set to gain significantly in productivity. MountainsSPIP® allows users to save, close and reopen their work at any time. There are many tools for automating repetitive work and speeding up analysis processes. I also think many users will appreciate being able to export data as a report in PDF format at any time. Which SPIP™ features will Mountains® users benefit from? In addition to improved interactivity I would highlight three features. Particle analysis is of great interest for most microscopists and they can now take advantage of the unique particle analysis tools coming from SPIP™. State-of-the-art calibration tools used by top-level metrology institutes will now be available for quality assurance and users requiring a very high level of accuracy. SPIP™ force spectroscopy analysis tools, regarded as the reference in this domain, will be of great benefit for frontier researchers working in material and life sciences. Do you have a message for current SPIP™ users? During the upcoming year, we will be 100% committed to accompanying each SPIP™ customer in their first steps with MountainsSPIP®. The interface and features of MountainsSPIP® are closer to the current versions of MountainsMap®, so to help SPIP™ customers make the transition, we are compiling a series of tutorials and examples that we will soon make available to them. Investing in professional scientific software such as MountainsMap® for surface analysis and metrology can be a complex decision to make. Perhaps you’re not sure if you are going to get sufficient use out of the product or maybe you’re working on a time-limited project? Could a subscription or “rental” be the answer? If your software needs change from project to project depending on what you are working on, renting MountainsMap® may be the solution for you. Sometimes a 30-day free trial just doesn’t give you enough time to make your decision. Subscription or “rental” licenses are available for periods of 3 months or more. They include access to whatever functions you need, free updates as well as help and technical support. If you decide to buy MountainsMap® at the end of the rental period, 30% of the fee you paid is converted into a discount. Buying a perpetual software license can be a big upfront investment for some companies and research facilities. Renting MountainsMap®, on the other hand, allows immediate full access to the software at a lesser cost. MountainsMap® is often used by students completing a thesis or a Master’s project. Renting the software means you aren’t committed beyond the end of your studies. A rental license gives you full freedom to use and publish the results of your work. Renting MountainsMap® means you can directly pass the cost to clients. You can treat access as an operating expense rather than a capital expense. Anne Berger, Direct Sales Manager, explains: “It’s actually pretty straightforward. You select the configuration you want (product and optional modules) and decide how long you wish to use MountainsMap®. This could be 3, 6 or 12 months for example. After signing an agreement, you will receive a USB dongle. You pay at the beginning of each quarter (by wire transfer, Paypal or credit card) and receive an activation code by e-mail for each payment. You will have full access to our extensive help documents as well as to technical support provided by our team of experts. Digital Surf and Image Metrology joined forces in July 2014. 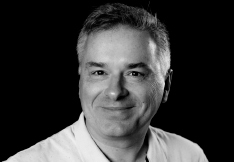 In the run-up to the release of MountainsSPIP® 8 Christophe Mignot, Digital Surf CEO, explains the reasons behind this merger and what it means for current SPIP™ and Mountains® users. Digital Surf and Image Metrology merged in 2014. Can you explain the logic behind this? Digital Surf, a company founded in 1989, is the editor of Mountains® software, leading analysis software for contact (stylus) and non-contact (optical) profilometers. Most profilometer manufacturers now offer Mountains® to their customers, either as an option or an embedded standard component. Profilometers and SPMs share a lot in terms of surface analysis needs : for instance, interactive 3D rendering, form removal, filtering and roughness analysis can be required when working with data from either technology. However each instrument family also requires specific optional analyses e.g. 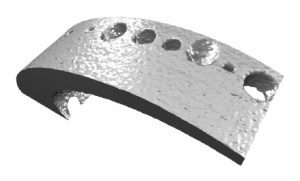 automotive surface texture parameters for profilometers or force curve analysis for AFMs. Image Metrology and Digital Surf were not directly competing as we were focusing on different markets. However over the years, it appeared that we had a lot of scientific enthusiasm and long-term expertise that we could pool for the benefit of our respective customers. Merging the two products was an opportunity to serve the surface analysis community more globally and in a better way, with tools for analysis from the nanometer scale to the millimeter scale. In parallel, over the last 10 years, Digital Surf has been driving an internal R&D program with the idea of allowing Scanning Electron Microscopy to move from 2D grayscale images to 3D color images. Currently this technology has been adopted by the four biggest SEM manufacturers. As a result of both these internal and external developments, Digital Surf is planning to launch the new Mountains® 8 range in Q2 2019. Not only will Mountains® 8 be the most advanced software package for each type of surface or image analysis, but laboratories working with several different types of instrument (profilometer, microscope, SEM, AFM, spectral analyzer etc.) will be able to benefit from a unique synergy between all their instruments. MountainsSPIP® 8 is a new product based on the Mountains® platform. It incorporates the advantages of both Mountains® 7.4 and SPIP™ 6.7 in a single product and adds many new features. MountainsSPIP® is the Mountains® 8 software product line dedicated to SPM instruments. It will replace both MountainsMap® SPM 7 and SPIP™ 6. What are the advantages brought by the SPIP™ and Mountains® platforms? Of course, it would be easy to assume that Mountains® 7 being the expert for surface analysis on profilers (and SEMs) and SPIP™ 6 being the specialist for SPM image analysis, we would just merge these two characteristics to form the DNA of our new product. However, there’s more to it than that. The approach used in SPIP™ is more interactive and direct than in Mountains®. For instance, extracting a cross-section profile or a sub-area from a surface or leveling a topography are one-click operations in SPIP™, whereas they follow a longer sequence in Mountains® 7. On the other hand, Mountains® 7 is very good at automation, traceability and publication, thanks to its unique document-based architecture and its clear and visible workflow. In Mountains® 7, the user can permanently monitor the operations applied, modify any of them at any time, use the work done as a template at any time and save or export work to Microsoft Office or other common programs in just a few clicks. It has been a tremendous challenge to marry advantages of both software programs into a single product, as the philosophy of the two predecessors was really different, but we eventually got there! Mountains® 8 is as immediate as SPIP™ 6 and as traceable and automatable as Mountains® 7. Can you give a few specific examples of features? 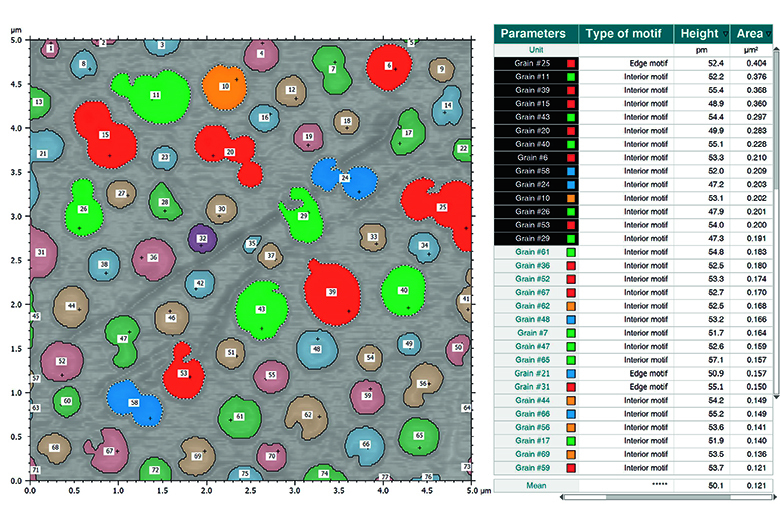 An important advantage for Mountains® 7 users will be new tools for Particle Analysis. Image Metrology did a brilliant job on this in SPIP™ and now all Mountains® users will have access to that. Conversely, Digital Surf really nailed multi-channel SPM image management. Multi-layer images are processed as simply as standard images in Mountains® 7, whereas this required windows synchronization mechanisms in SPIP™. Those using multi-channel microscopes will see their productivity increase significantly when upgrading to MountainsSPIP® 8. However, Mountains® 8 is much more than just SPIP™ 6 and Mountains® 7 advantages put together. The new platform offers other new advantages. For instance users have been asking us for a while for a complete undo/redo function everywhere in the document: DONE! How will the new Mountains® 8 range be structured? MountainsSPIP® 8 is dedicated to SPMs, mainly Atomic Force Microscopes and Scanning Tunneling Microscopes. This line is to be unveiled at the MRS Fall Meeting in Boston this month (November 2018). MountainsSEM® 8 is the product line dedicated to Scanning Electron Microscopy and was shown at the Microscopy & Microanalysis show in Baltimore last August. MountainsMap® 8 is software dedicated to contact and optical profilers. This new product will be unveiled at the Control quality assurance show in Germany in May 2019. It will be a significant step forward from MountainsMap® 7 for our profiler users. MountainsUniversal® 8 will group of these three product lines into a single package allowing multi-instrument synergy. It is a high-end product line dedicated to core instrument facilities in academia and industry. All four software lines will come with a dedicated choice of optional modules, such as specific analysis tools for the automotive industry or powerful spectral data cube analysis for chemical surface mapping in microscopy. Do you expect SPIP™ 6 users to be at ease quickly with MountainsSPIP® 8 ? Obviously MountainsSPIP® will be a big step forward for users of SPIP™ 6 (and earlier versions). It will require more time and effort for them to find their feet than for Mountains® 7 users. We realize that and we are committed to making the shift as easy as possible. Mountains® 8 will allow users to start from tutorial examples. Not tutorials that you use to understand, then close before applying to your own work, but actual useful examples you can use yourself to start with (including comments and explanations that you can switch off and on as you please). You can easily replace example data with your own data, save and retrieve your work. We are producing a specific set of examples dedicated to guiding former SPIP™ 6 users. Mountains® is very consistent. It is quite different from any other image analysis programs. But once you have got used to the basic concepts and names (such as “document”, “studiable” and “operator”), the software behaves the same for all data types. There is a small effort involved during the first five minutes, but then the gain in productivity is huge. Also, as Mountains® reproduces the familiar layout of desktop publishing software, if you are used to products like PowerPoint® or Word®, you will quickly be at ease with our powerful analysis documents. MountainsSPIP® will be available in 11 languages, including on-screen help, so most users will be able to work in their native language. Last but not least, we are training our customer support people so that they fully understand the differences SPIP™ users will face when using MountainsSPIP®. So, they are ready to help and share their enthusiasm for the new product! Customers should not hesitate to call our support team for even the smallest concerns. Do you have a message for the 15,000 existing Mountains® users? The merger of SPIP™ and Mountains® has been a long process and has delayed the release of version 8, but it was worth the wait. SPIP™ has come as a breath of fresh air, with attractive concepts that will now be part of Mountains®. And it is now our intention to recover the pace of new major versions. With SPIP™ joining us, the community broadens, and synergy between instruments and applications once again increases. Whatever surface analysis instrument you have, you know you can trust Mountains® to stay at the forefront, as 50+ instrument manufacturers do already. We would like to thank our users and integrators for their loyalty and trust and we pledge to keep up the hard work in the future! Since SPM specialists Image Metrology and Digital Surf joined forces a few years back, development teams from both companies have been working hard to create the next generation of SPM image analysis software, based on the industry-standard Mountains® platform and including all the best SPIP™ interactivity and analytical tools. The new product line, named MountainsSPIP® 8, will be unveiled at the MRS Fall Exhibit in Boston on November 27-29 and made available to users in Q2 2019. Here we premiere some of the benefits of this uniquely powerful toolbox for SPM data analysis. Researchers wishing to explore a sample beyond the limitations of one single instrument technology need look no further than MountainsSPIP® 8. Whether working with data from 3D optical profilers, AFM, SEM, fluorescence, Raman, IR or other microscopes, users benefit from powerful detection tools which allow them to easily manage data at different scales (see image below). Density maps, SEM, fluorescence and other images can easily be overlaid on surface topography to facilitate the correlative study of features. 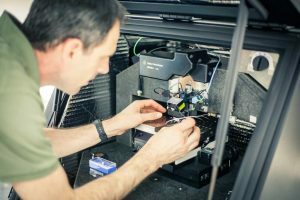 Characterizing molecular interactions at the nanoscale using atomic force microscopy (AFM) is a key application in the fields of materials and life sciences. MountainsSPIP® contains all the features necessary for viewing, processing and analyzing force curves and force volume images. This includes tools for correcting data, creating interactive parameter maps and managing large collections of curves. All parameters and results can be exported to Excel at the touch of a button. MountainsSPIP® takes particle analysis to a whole new level. Combining all the best Mountains® and SPIPTM tools, this tool allows users to easily detect and quantify features of any shape and size on virtually any surface. It is possible to choose which layer of data to use for feature detection then select an appropriate detection method (threshold, watershed, edge or circle detection). 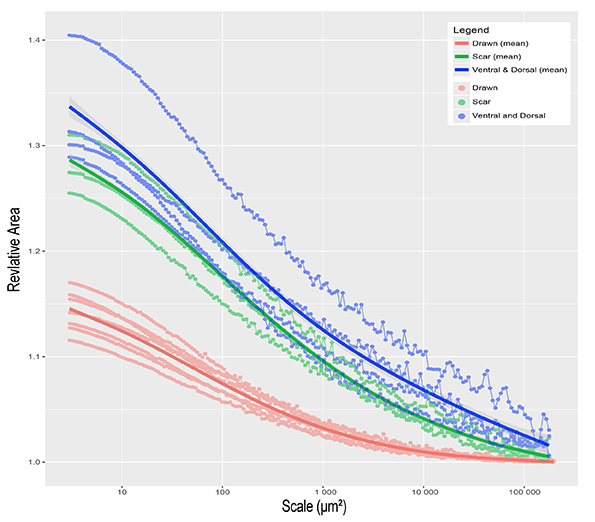 When it comes to quantification, over 70 parameters (area, perimeter, diameter etc.) are available. Analyze the sample as a whole or just click on any individual particle to see parameters instantly displayed! SPM users often work with data comprised of multiple images (current, phase, thermal etc.) obtained using different scanning modes. 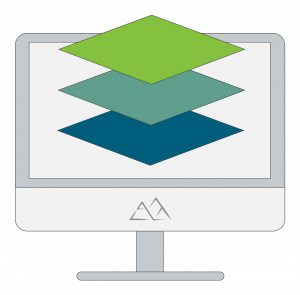 MountainsSPIP® manages multi-channel files in exactly the same way it manages single-channel data, allowing users to switch easily from one channel to another during each and every stage of image processing. 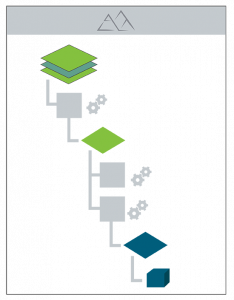 Thanks to its unique analysis workflow (see image below), MountainsSPIP® makes it easy to keep track of analysis steps already applied to data and instantly revert back to any step in the process. Even better, any step can be edited, resulting in all dependent steps being automatically recalculated. As in previous versions of Mountains® software, MountainsSPIP® allows users to save work and pick up where they left off next time. Repetitive analysis routines, following the same steps again and again, can be automated with robust tools including templates. MountainsSPIP® is capable of processing data from any brand or type of scanning probe microscope (AFM, STM, SNOM, etc.) The software can open over 170 different file formats covering various data types (profile, surface, image, multi-channel, force curve, hypercube, etc.). Digital Surf and Image Metrology have many years experience developing surface imaging & metrology software for the global industrial and scientific communities. Both companies have research partnerships with leading laboratories worldwide. The majority of national metrology institutes (PTB in Germany, NIST in the USA, NPL in the UK, LNE in France etc.) rely on the expertise and precision of Mountains® and/or SPIPTM software. Digital Surf’s main focus is on working as a partner with instrument manufacturers worldwide, in the fields of surface metrology and microscopy. Mountains® software is now offered by over 50 profilometer and microscope manufacturers, embedded in their equipment. Particle analysis has never been easier. Check out the video. Particle analysis is used in research and industry across many fields ranging from quality control of structured materials (metal alloys etc.) to characterization of nano-structure assemblies. Mountains® 8 brings an updated, extensive tool set for quickly identifying and quantifying features in any image or on any surface. In Mountains® 8, the very best SPIPTM and Mountains® features have been merged to bring users top-of-the-range tools for particle analysis. This means access to a range of detection methods, improved interactivity and new options for calculating and displaying data. Mountains® 8 particle analysis offers four feature detection methods based on different segmentation principles. circle detection (detect round or spherical particles). What are the display options? The particles can be classified and colored based on user-defined settings; various charts and statistical results are available. What do you mean by improved interactivity? Particle analysis is fully interactive. You can click on any individual particle and instantly jump to the relevant row of the parameters table and vice-versa. Available parameters include: motif type (open or closed), height, area, volume, X, Y and Z extremum, number of neighbors, pitch, coflatness, perimeter etc. Mean morphological parameters can also be displayed for the entire image. All results can be exported directly to Excel and Word or in PDF format. And what if I’m using multi-channel data? No problem! 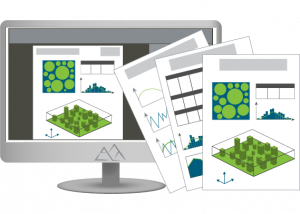 For multi-layer data, a selection tool allows users to choose which layer to use for feature detection and parameter calculation. We recently launched a new visual identity for Digital Surf and Mountains® software. So what’s the story behind this new design? Nature, the International Journal of Science, recently revealed the discovery by an international team including scientists from the PACEA (CNRS/University of Bordeaux/French Ministry of Culture) research unit of the oldest drawing known to man. 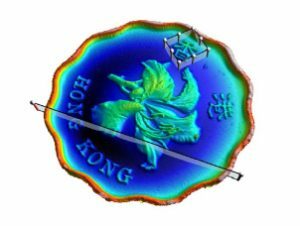 Among the tools used to bring this unique treasure to light, SensoMap software, based on Mountains® technology helped researchers to precisely characterize surface features and confirm the drawing was indeed done intentionally. 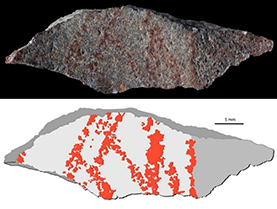 The oldest known abstract drawing, made with ochre, was found in a South African cave on a pebble retrieved from 73,000-year-old deposits. A crosshatch of nine lines purposefully traced with a piece of ochre having a fine point and used as a pencil, this work is at least 30,000 years older than the earliest previously known abstract and figurative drawings executed using the same technique. A major methodological challenge was to prove these lines were deliberately drawn by humans. First, researchers reproduced the drawing discovered using various techniques: they tried fragments of ochre with a point or an edge and also applied different aqueous dilutions of ochre powder using brushes. Using techniques of microscopic, chemical, and tribological analysis, they then compared their drawings to the ancient original. Their findings confirm the lines were intentionally drawn with a pointed ochre implement on a surface first smoothed by rubbing. Both ISO parameters and SSFA analysis clearly demonstrated that the drawn surface was significantly smoother than the other parts of the flake and the other artifacts from the cave. Above: Dr Alain Queffelec of the University of Bordeaux, one of the researchers involved in the groundbreaking study. Among the tools used to bring this exciting new discovery to light, SensoMap software, based on Mountains® technology allowed archeologists to reveal that the pebble in question was probably originally part of a large ocher grindstone, the surface of which may have been completely covered by a drawing which the fragment discovered would have been part of. © 1996-2019 Digital Surf. All rights reserved.